We’re only just over a month away from the release of Rogue One: A Star Wars Story, and fans couldn’t be more excited. 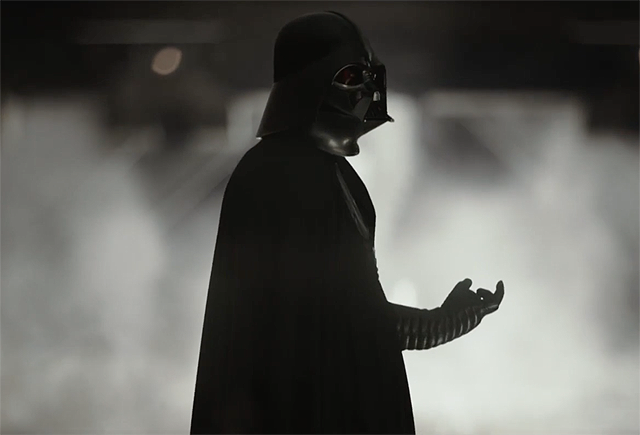 One of the biggest anticipations, is the return of the great Sith Lord himself, Darth Vader. Being that the film is set prior to 1977’s A New Hope, Vader had to show up sometime, especially since the movie is about stealing the plans to the infamous Death Star. In this new international trailer, we catch a bit more than a glimpse at the Sith. Not only that, but we see a little more backstory regarding Jyn Erso and her checkered past. Check out the trailer for yourself below.